Getting a home painted is not at all an easy task as exciting as it may sound. When you see mess all around the exhilaration of watching your beautiful abode in new colors soon goes into vain. 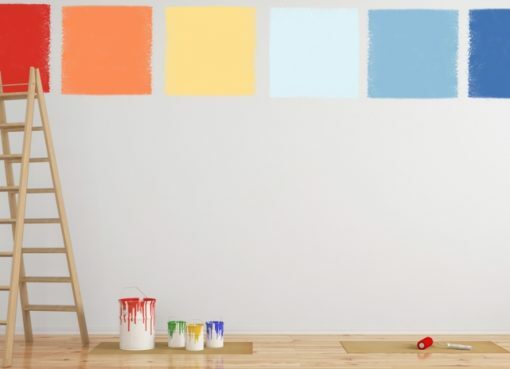 So, for preparing your place for house painting here are few tips that you can adopt. Keep reading to find out. So, if you don’t want to end up chaotic and muddled there are some things that you must look at carefully now that you are all set to get your house repainted. Here are five tips that will help you stay on the top of the game. 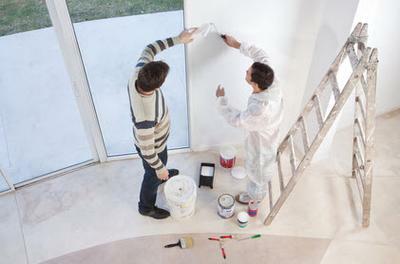 Before the painters take over your home sweet home use these tips and keep your house ready. Make sure you keep it safe at your friend’s place or store it in a locker before painters come to your home from that jewelry to expensive cutlery and even antique showpiece. Doing so will help you keep your mind focused on the main job. Without worrying about your valuables in the next room it helps you in getting the painting done well. Your sofa or coffee table painted in an unwanted color is the last thing you may want. Thus, to prevent the spattered or split paint it is advisable to remove every bit of movable furniture from the room which is going to be painted. Moreover, if you want everything in good condition avoid piling up everything in the hallway. In a secluded corner keep them covered and safe. Before the house painting starts you could also take help of packers to help you pack the furniture a few days. Now is the time to do something about your flooring once you have protected your furniture. Just putting up a few newspaper sheets is not going to work here. Use any substantial thing, such as plastic sheets, clothes, etc if you want to protect your flooring. Be wary of its effectiveness whatever you choose. When the house is being painted doors and knobs face the maximum brunt. To ensure the door is covered for maximum protection use newspapers and plastic sheets. As the covering can easily come out with rough use make sure you laminate the knobs well. Moreover, once the painting is done it may be a better idea to get your knobs and doors polished. You will find lots of corners like the electrical sockets and covers that cannot be covered with plastic sheets and newspapers. To ensure that the corners like these are protected from the spillages of paint use painter’s tape. Cover the rest with plastic and the fan blades with newspaper. Also, any fancy lights that you may have in your home must be removed.